We fully guarantee the health of our bees and queens. If a colony dies, we will replace it with a healthy one from our own stock at no additional cost. Clients keep 100% of the honey produced by their beehives. We offer a minimum honey guarantee based on the maturity of the colony. 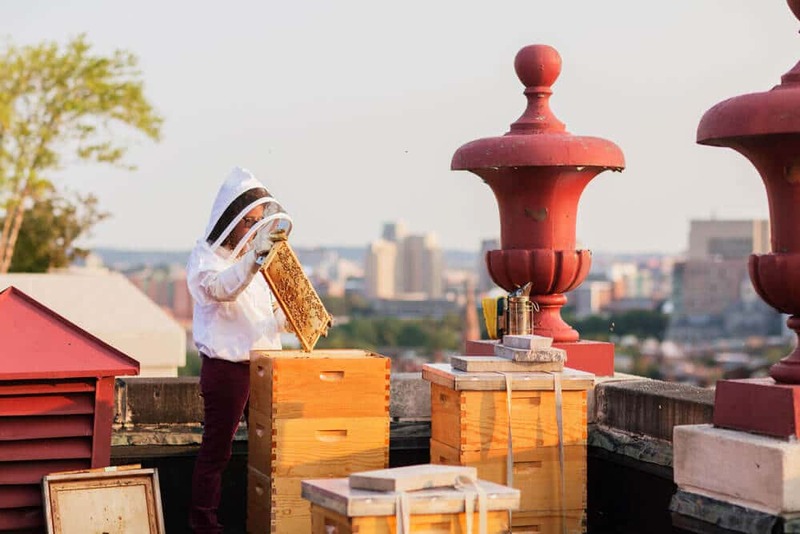 Each beehive is a data point shared with research partners like NASA, MIT, and our own 501(c)3 nonprofit Urban Beekeeping Laboratory to improve bee health, study climate change, and create a more resilient human habitat. A grouping of beehives, known as an apiary, can vary greatly in size. We can recommend the optimal quantity, configuration, and installation timeline for a given site. If possible, clients often choose to place their colonies near a window to allow employees and customers to watch their bees at work. We work exclusively with Italian honey bees (Apis mellifera ligustica) known for their docile nature. Each beehive holds one queen and matures to up to 80,000 bees at the height of the season. Our beekeepers service the beehives every 2 to 6 weeks from early spring to late fall. We coordinate with property managers and engineers to minimize disruption to your operation. Reports are sent after each visit regarding the status of the hive, the strength of the colony, and any issues we may have found. We look for symptoms of bacterial, fungal, and viral diseases, and all other pests. At no additional cost, we treat bees with medicines, probiotics, and organic pest control methods, make supplemental visits as needed, and offer on-call support. Our full-time team is available by phone or email to answer any questions. Unlike other beekeeping operations, The Best Bees Company harvests, jars, and delivers 100% of the honey produced by a clients’ beehives. We also offer a minimum honey guarantee based on the maturity of the beehive. In year 1, clients will receive a minimum of 4.5lbs of honey per beehive. The minimum guarantee increases with each subsequent year. 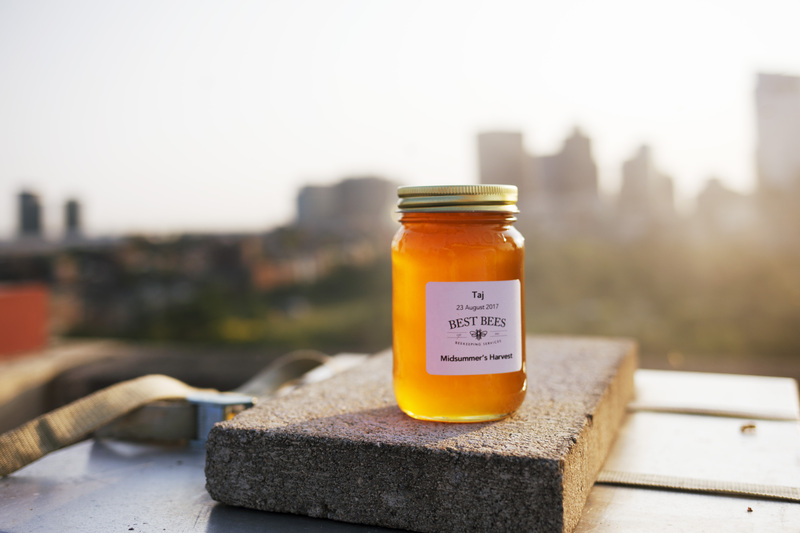 To satisfy greater demand from a building or community or for dining services, we source bulk honey from our apiaries for an additional fee. We hand-assemble frames using high-quality pine and an all-natural wax foundation. 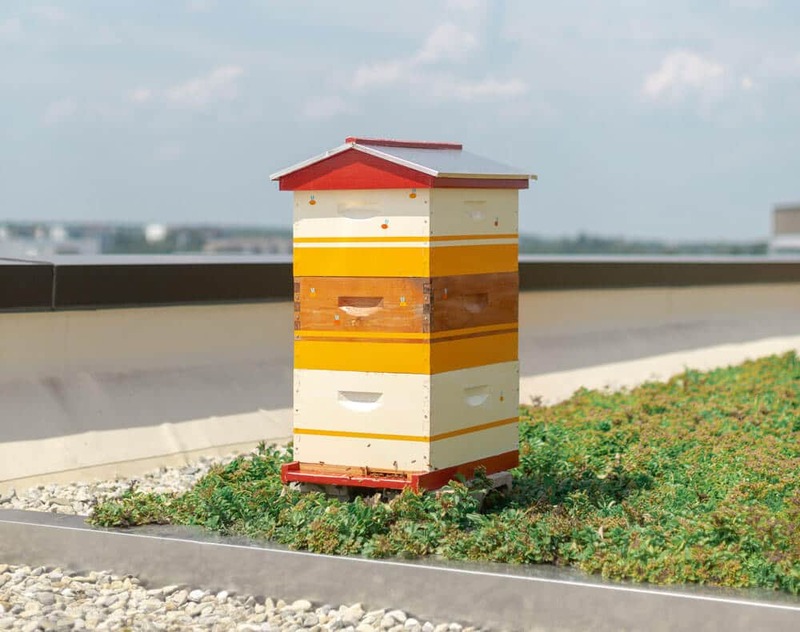 Beehive boxes are sent into the field in a natural wood finish with a spar varnished exterior, and a flat roof with a galvanized aluminum casing. The Best Bees Company does not use plastic parts or any synthetic materials or chemicals in our equipment. Each beehive set contains all necessary components: 1 bottom board, 3 boxes, 30 frames, 1 inner cover, and 1 outer cover. We also provide weighted support on the top and cinderblocks to raise the beehive off the ground. Customization is available for an additional fee. Please call 617.445.2322 for more information or create your own design. 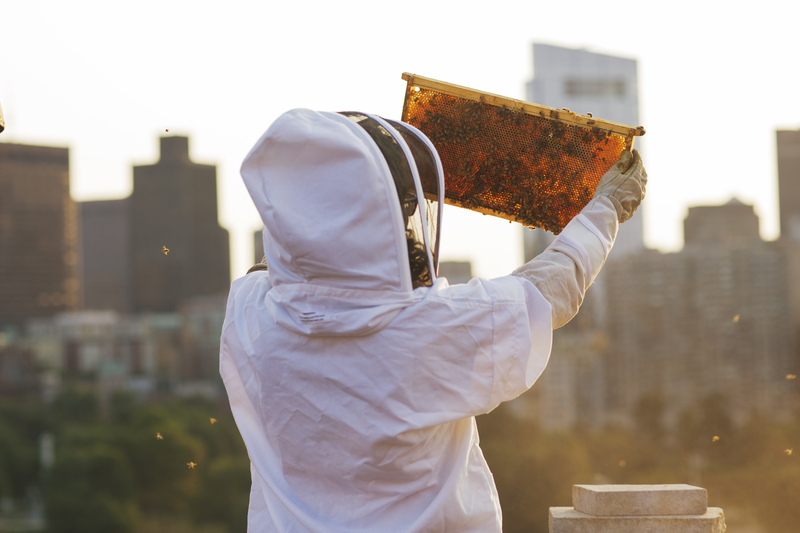 Annual rates vary based on location, number of beehives, and equipment style. A two-year commitment is recommended for optimal bee health. Contact us for a custom quote and to consult with one of our experts about welcoming bees to your property. Orders can easily be placed online or over the phone by calling 617-445-2322. You can also reach us by email at info@bestbees.com.